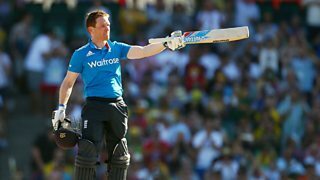 Highlights from Test Match Special's and 5 live Sport's 2015 Cricket World Cup coverage. 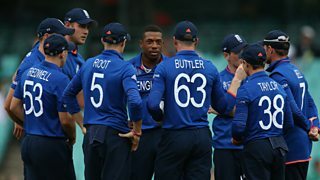 Steve Harmison says England must build for the future after the cricket World Cup. 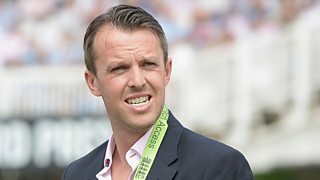 Graeme Swann says England need to be more aggressive in one day cricket. 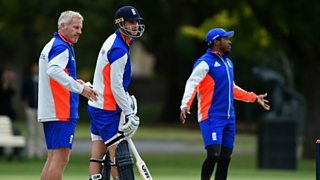 Ex England batsman Mark Butcher says the team face a 'dreadful' few months. 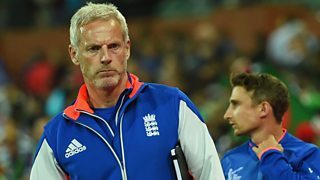 Yorkshire's Gillespie says he's flattered to be linked with an England coaching role. 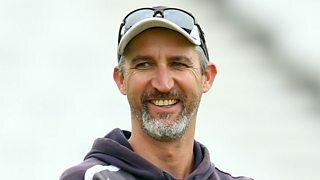 Graham Gooch reacts to Stuart from Sussex, a caller to the 5 live cricket phone-in. 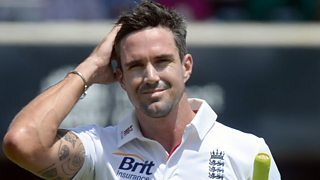 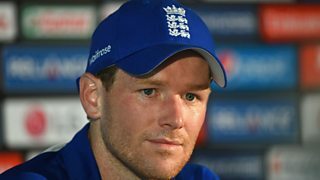 TMS's Geoffrey Boycott believes England's cricketers are overwhelmed with information. 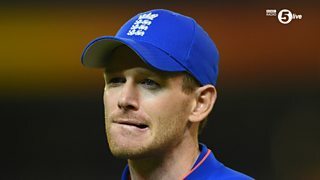 Luck of the Irish. 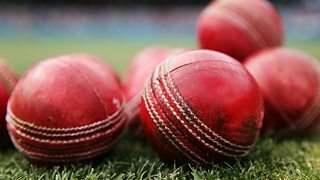 Joyce is bowled....or is he? 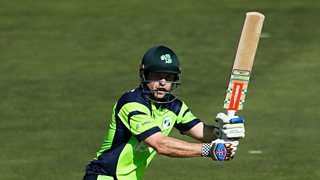 Ireland's Ed Joyce receives a huge stroke of fortune versus the UAE. 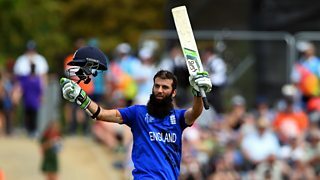 Geoffrey Boycott and Simon Mann on England's win over Scotland in the Cricket World Cup. 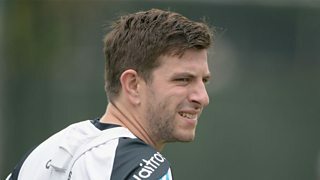 Bowler Harry Gurney reveals why he was left out of England’s World Cup squad. 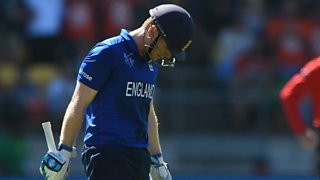 Geoffrey Boycott assesses England's heavy World Cup defeat to New Zealand. 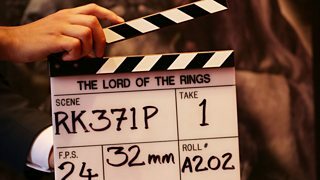 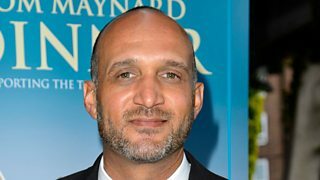 Jonathan Agnew tells Jeremy Coney about his part in Lord of the Rings. 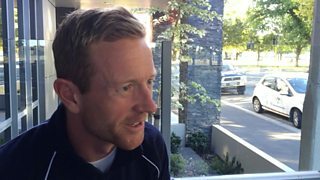 Paul Collingwood says England's CWC squad has its "most powerful batting line-up" ever. 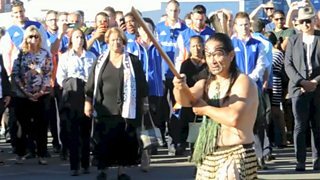 England's cricket team welcomed to Wellington ahead of their match against New Zealand. 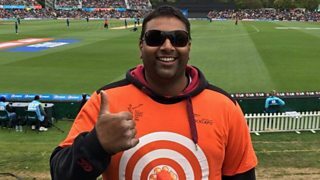 New Zealand fan takes catch to win a share of up to $1million NZ dollars. 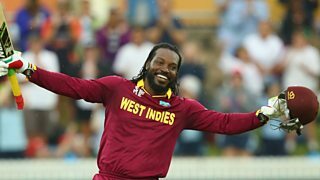 Test Match Special commentator Jim Maxwell gives his guide to the Cricket World Cup. 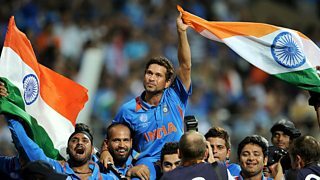 Sachin Tendulkar says winning the 2011 Cricket World Cup in India was a 'golden moment'.